Dry, sandy, sunny, disturbed habitats along trails and roadsides. This densely tufted grass is a relatively recent introduction from Europe, first collected by A. A. Reznicek in Berrien Co. in 1982 (Gereau & Rabeler, 1984). It somewhat resembles Koeleria, but has the filiform-involute leaf blades finely and densely scabrous, and differs in its unique, jointed awn. Koeleria has the blades smooth or sometimes sparsely pilose and the lemma awnless. MICHIGAN FLORA ONLINE. A. A. Reznicek, E. G. Voss, & B. S. Walters. February 2011. University of Michigan. Web. 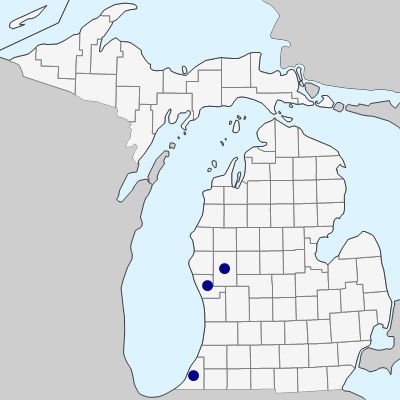 April 25, 2019. https://michiganflora.net/species.aspx?id=2055.